When designing a child’s bedroom, it is important to be creative. Use your imagination and open yourself up to a world of exciting and magical designs. Allow Tinkerbell to sprinkle her magic dust and fly you to your child’s Neverland. The goal is to create a room that reflects your child’s character by using their interests, hobbies, and lifestyle as a guide. Wall colors are capable of affecting emotions, behaviors, and thoughts. 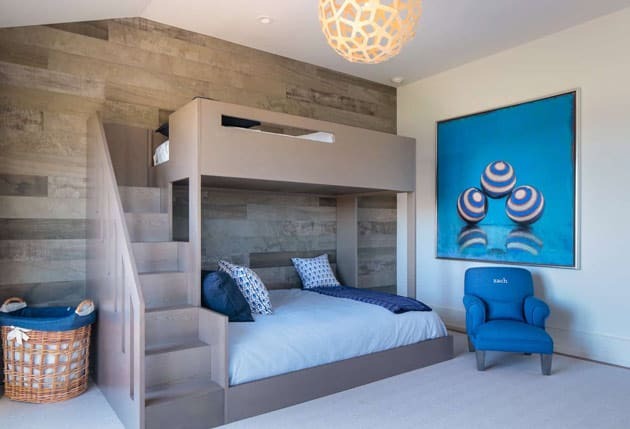 For a child’s bedroom, many designers choose to use light, pastel colors such as blues, greens, or pinks in order to create a calm and relaxing atmosphere. 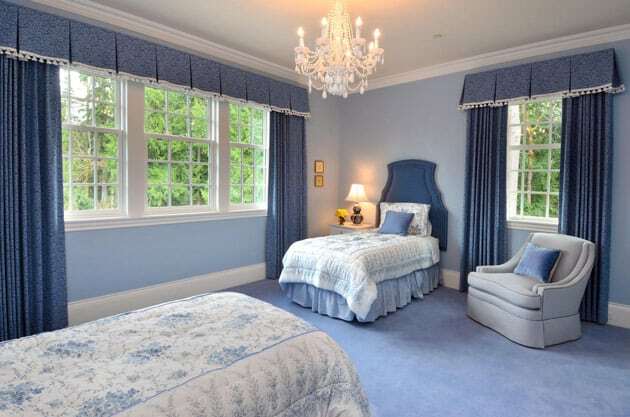 Lighter colors are also recommended when decorating a smaller room as they will make the space look more open. Betty Wasserman shows superb example of how soft, light colors, combined with the child's interest, make a perfect starting block in the design process. By starting with the wall decor, the designer was able to accomplish a playfulness and light-heartedness without adding clutter. Vibrant, brightly colored walls should be chosen when decorating a larger space. These bright, happy colors are known to give positive emotions and vibes, but be careful not to go overboard as these colors may be overstimulating. Create a balance between excitement and relaxation by incorporating light colored furniture. Wall coverings are very special in a child’s world. They inspire and motivate, as well as provide a way to learn and analyze colors, numbers, motifs, and patterns. Murals are pieces of art that are either printed or painted on walls, ceilings, and other large surfaces. The artistic element of a mural should be nicely incorporated into a space, complementing the room's color scheme, style, and design. When selecting a wall mural for your child’s bedroom, you will have an abundance of images to choose from, and if you cannot find exactly what you are looking for, wall murals can easily be custom made. 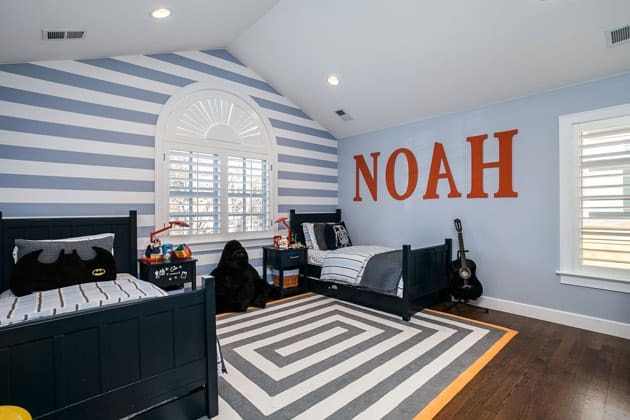 A large hand-painted mural can be created based on a specific theme, using images of the child's favorite sports team, movie, book, and so forth. You can also have your child's own drawings or a family photo made into a printed wall mural, adding a special and personal touch. 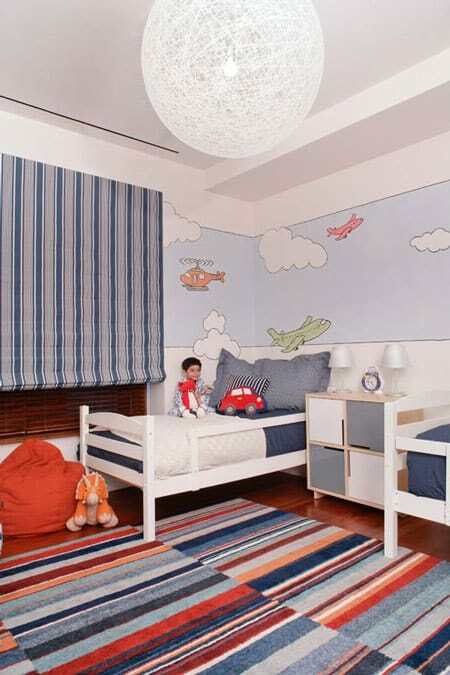 Murals can bring a design to life, transforming your child's bedroom into their 'fantasy world,' such as how this wall mural has created a world of happiness in this child’s bedroom. Wall decor, such as paintings with happy colors, illustrations, and figures, are also extremely popular when designing a child’s room. Combine light colored walls with brighter wall paintings or decor, and vise-versa with darker, brighter colored walls. Stylish wall decor made from unique materials, such as wood and metal, will add temperament to a child's room. 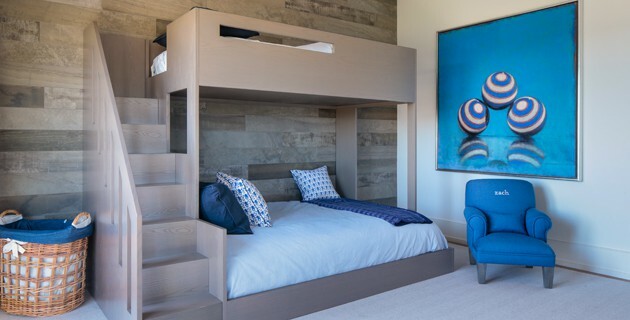 In this room, created by Betty Wasserman, there is a charming wooden accent wall and large accent art -- both of which are adaptable elements that will grow along with the child. Just remember, the walls are your canvas for creating an amazing interior that will reflect and highlight your little one’s childhood.